The President’s budget proposal, released last week, cuts cost for health care. In particular, the processes for obtaining diagnostic images are coming under governmental fire for patients covered through Medicare. But the question arises, will that really save costs? Or is it just pushing around an inevitable medical bill, while causing suffering to those most in need? 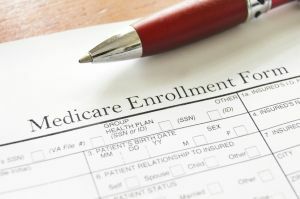 If the budget is fully approved, Medicare patients will require prior authorization for imaging services, and have to work through “radiology benefit managers.” The American College of Radiology commented that this takes important medical decisions away from doctors. This could impact how decisions are made, as the focus is shifted from the patient’s health to the cost of the procedure. The Medical Imaging & Technology Alliance, known as MITA, has brought up a study in its defense. This research indicates that radiology benefit managers, which are already used by some private insurers, do not reduce medical costs. Instead, they shift it to other areas of medicine, as illness and injury are caught at later stages. These changes in the budget are not new or unexpected, but it could be said that they demonstrate the broader attitude towards health care in our country. Because the government is focusing on the financial implications when deciding on diagnostic techniques, patients may receive sub-par treatment. Others may be forced to become outwardly ill, as recognizing the beginning stages of disease will become a more daunting process. This could, for some patients with maladies such as cancer, mean the difference between life and an untimely death. The American College of Radiology, in a joint effort with MITA, is urging the President and Congress to reconsider and look into alternative solutions to control healthcare costs. One example would be incentivizing the use of appropriate criteria when ordering medical imaging exams for patients, and deny payment to providers who disregard the criteria. This could boost the quality of treatment while cutting down on duplicate or unnecessary tests. ACR and MITA urge you to contact your Congressional Representatives and speak out against this proposed budget cut. Detail to them, as a medical professional, just how crucial proper diagnostic images are when preventing and treating illness and injury. Medical imaging reimbursement has been cut 13 times since 2006--any additional cuts will only force more impoverished patients to accept medical problems that should have been totally avoidable. As an industry, it’s time to work together to prevent further attacks on the valuable services we provide. By further reducing the money allocated to the creation of diagnostic images, the government is only hurting itself.